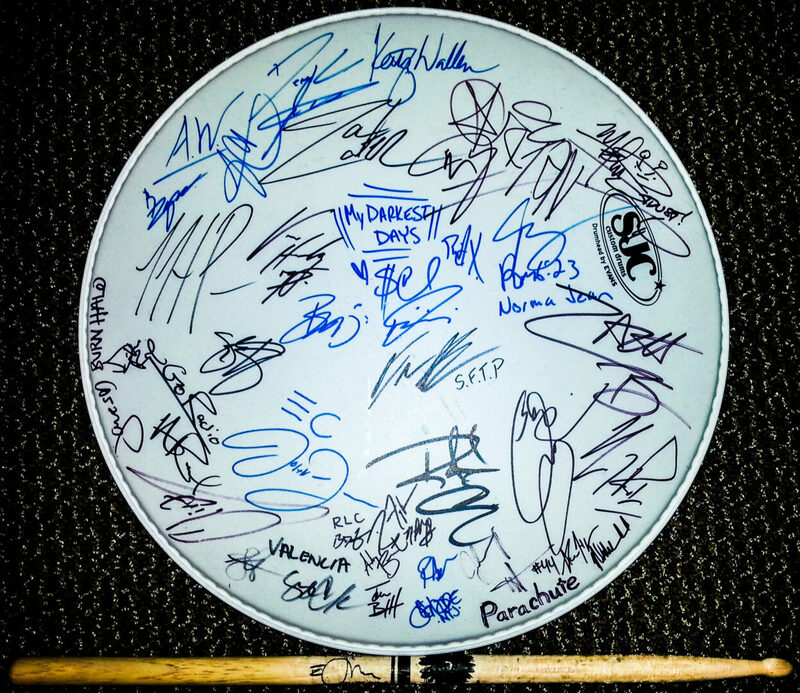 We’re giving one lucky person a drumhead that is signed by Parachute, Norma Jean, Nonpoint, Stray From The Path, Adelitas Way and many more. You can find out how to enter, after the break. -One drumhead that is signed by Parachute, Norma Jean, Nonpoint, Stray From The Path, Adelitas Way and many more. -One drumstick signed by Elliot James (ex- Hey Monday).